This is a recipe that serves one, so I can make it for myself for lunch with leftover ingredients. Of course, if you want more than one serving, you can easily double or triple the ingredients. As always, you can change the vegetables and /or meats that go into this dish. 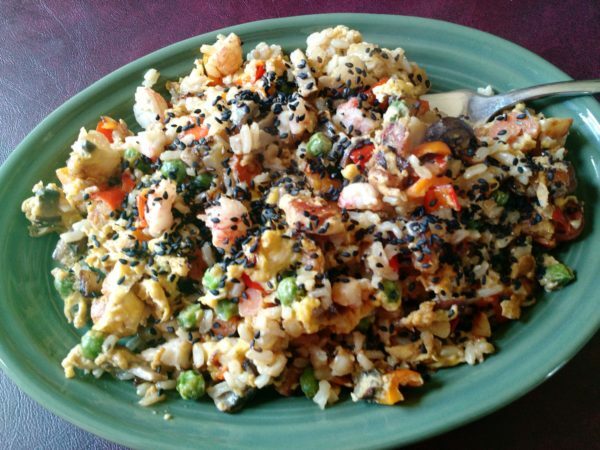 Add bean sprouts, ham, chicken, celery… you get the idea. Heat sesame oil in a medium sized skillet on medium-high heat. 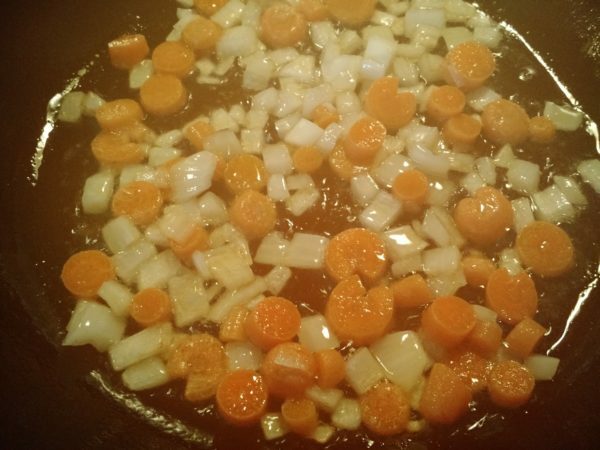 Add onions and carrots and saute for a few minutes. 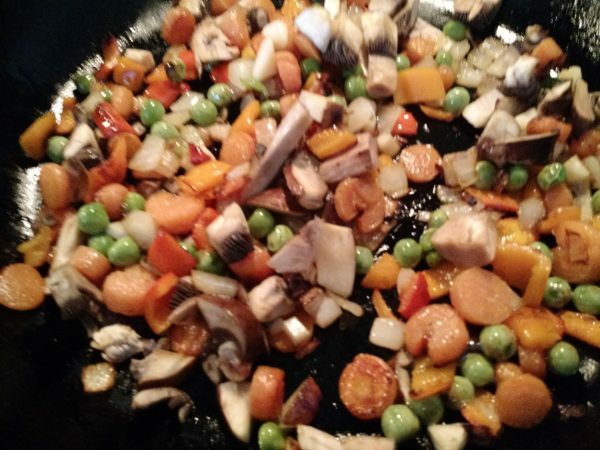 Add peppers, peas, garlic and mushroom. Saute, stirring often, for a couple of minutes. 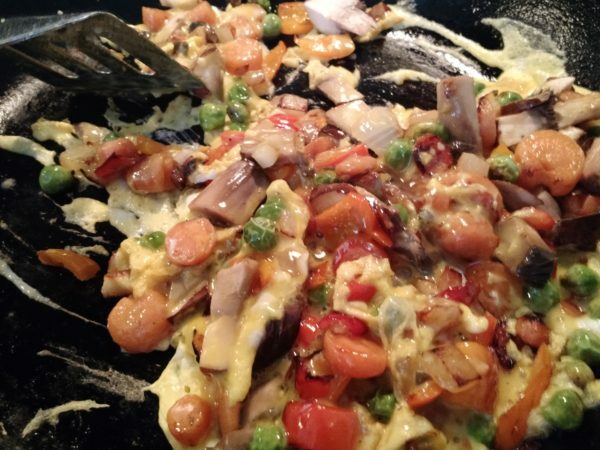 Add eggs and stir. They will cook very fast. 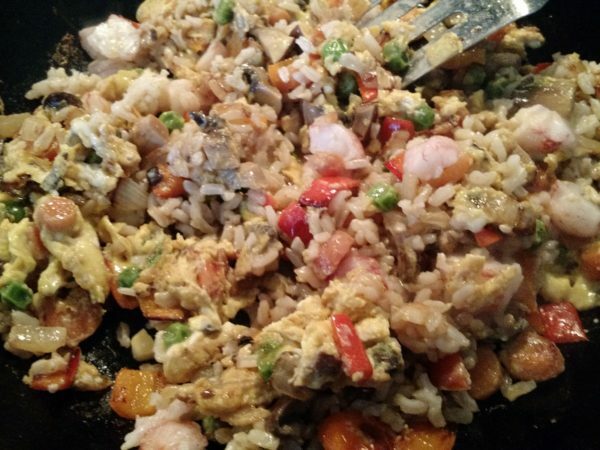 Stir in lobster, rice, soy sauce or soy sauce substitute, and lobster or shrimp. Stir and heat until warmed through. I like mine with toasted black sesame seeds added to the top.